With the Texas Legislature’s adoption of House Bill 1736 in May of 2015, as of September 1, 2016, the 2015 versions of the IECC and IRC, Chapter 11 have replaced the 2009 versions. Both versions include the Energy Rating Index (ERI) as an option for Residential Energy Code compliance. The ERI was intended to provides builders another option for complying with the IRC or IECC requirements by meeting a target ERI score through a wide range of performance options. It requires builders to achieve the mandatory code requirements of the 2015 IRC/IECC, follow hot water piping provisions and comply with the minimum requirements of the 2009 IECC/IRC for insulation and window envelope performance. The ERI score falls on a numerical scale of 100 (equivalent to the 2006 IECC) to zero (equivalent to a net-zero home). Each integer value on the scale represents a one percent change in the total energy use of the rated design relative to the total energy use of the ERI reference home design. RESNET’s Home Energy Rating System (HERS®) Index, based on ANSI RESNET Standard 301-2014, is the only existing compliant ERI method currently available. The following table includes the ERI values originally published in the 2015 IRC/IECC. The requirements vary based on the Climate Zone in which the building is constructed. 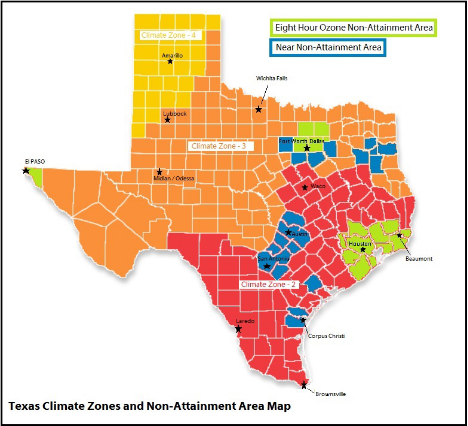 As you can see in the map below, Texas has three Climate Zones (2, 3 and 4). Additionally, some cities may have additional requirements beyond those required by the codes. Prior to the application of interior wall coverings in order to verify thermal components such as insulation, windows and air sealing. Near the final stages of construction to verify lighting and other components. As of September 1, 2016, the Texas option for compliance using the Energy Rating Index (ERI) now includes a set of ERI values that differ from those published in the 2015 versions of the respective codes. The ERI values will decrease (become more stringent) every three years until September 1, 2022. The table below indicates the adjusted Texas ERI values and dates of compliance per Texas 84th Legislatures HB 1736 and published in the Texas Health and Safety Code Section 388.003 (b-1). 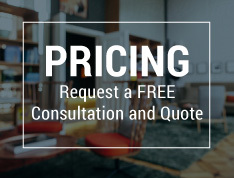 Let us make energy code compliance easier for you.